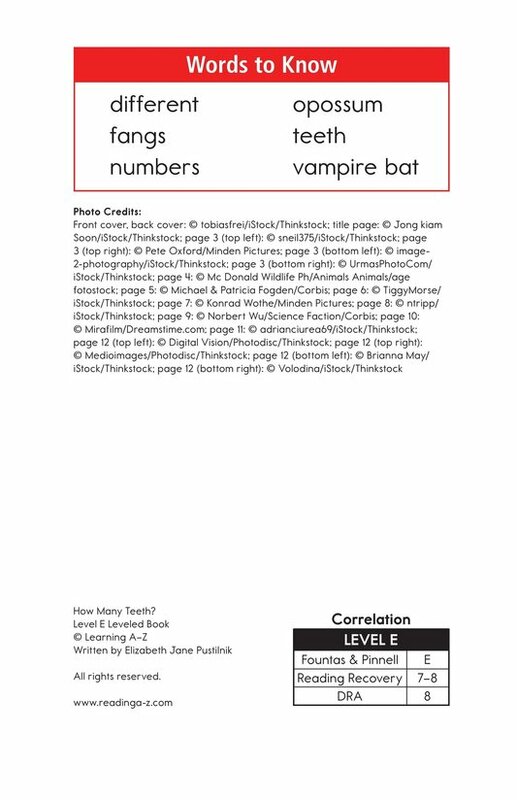 > Books > Leveled Books > Level E > How Many Teeth? 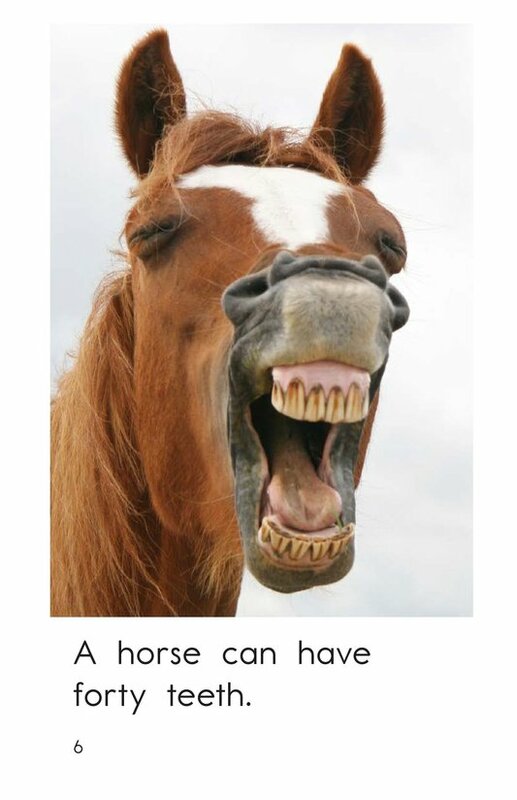 Some animals only have a couple teeth while others can have over twenty thousand teeth! 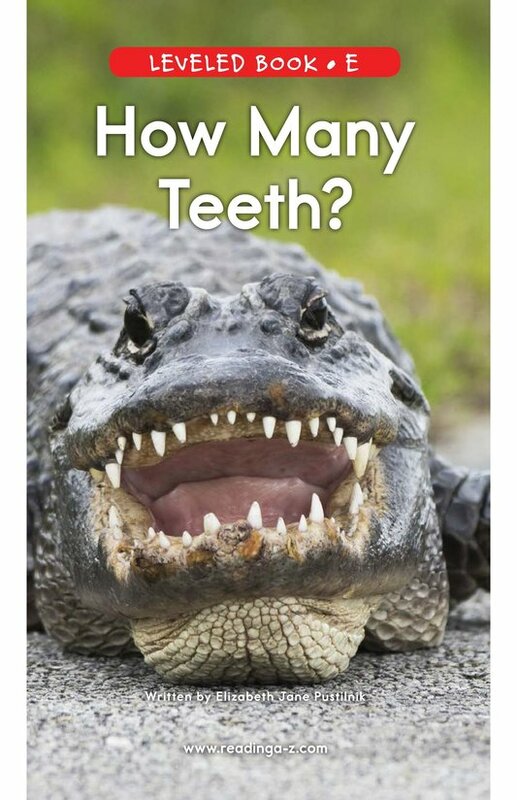 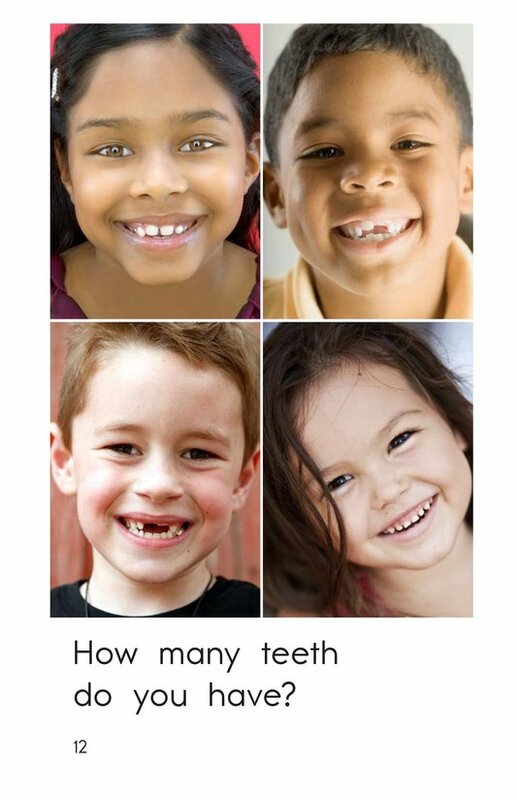 How Many Teeth? 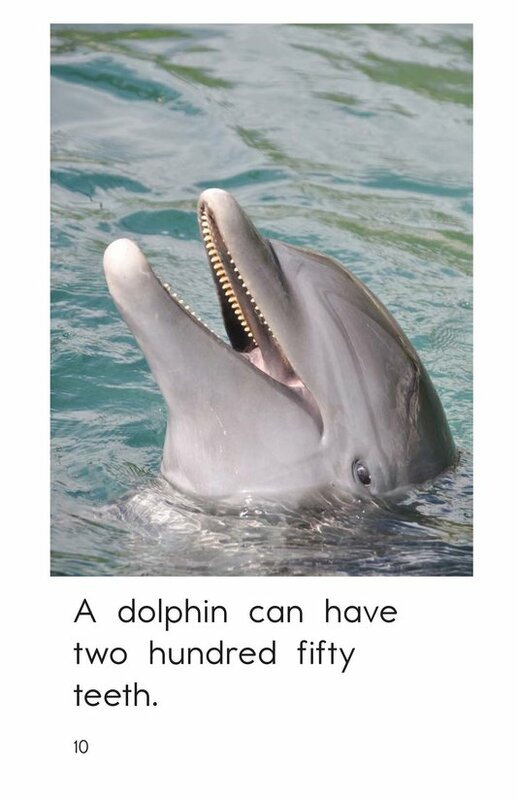 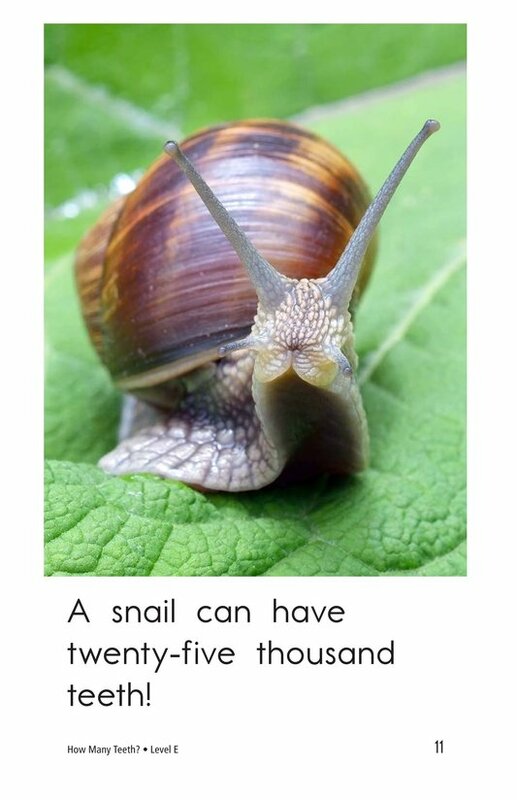 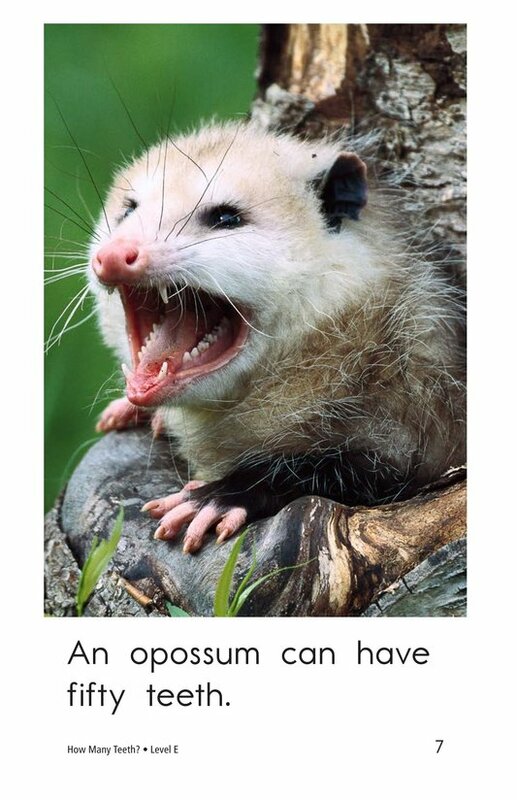 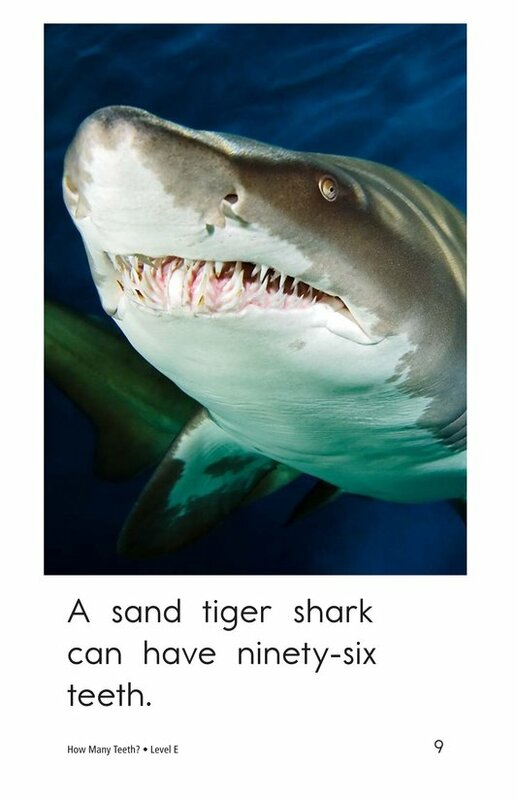 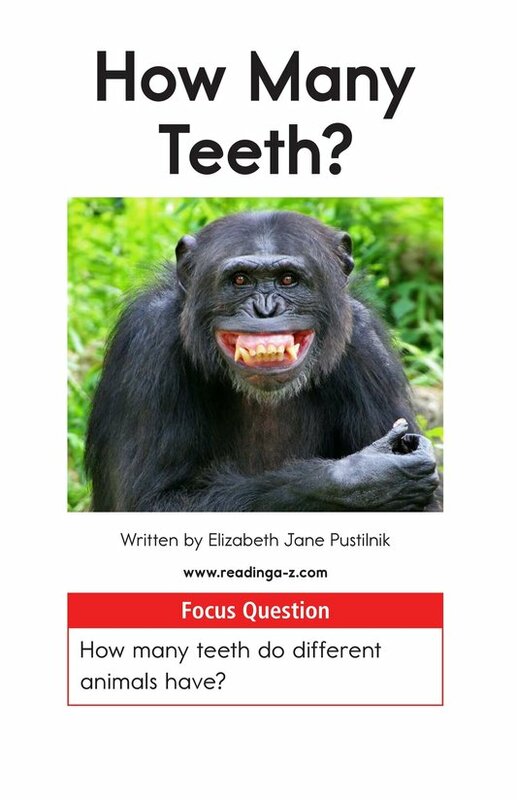 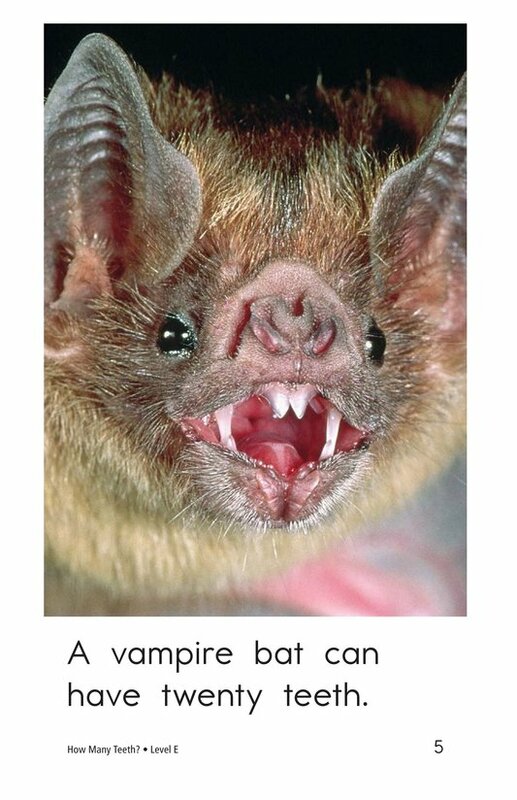 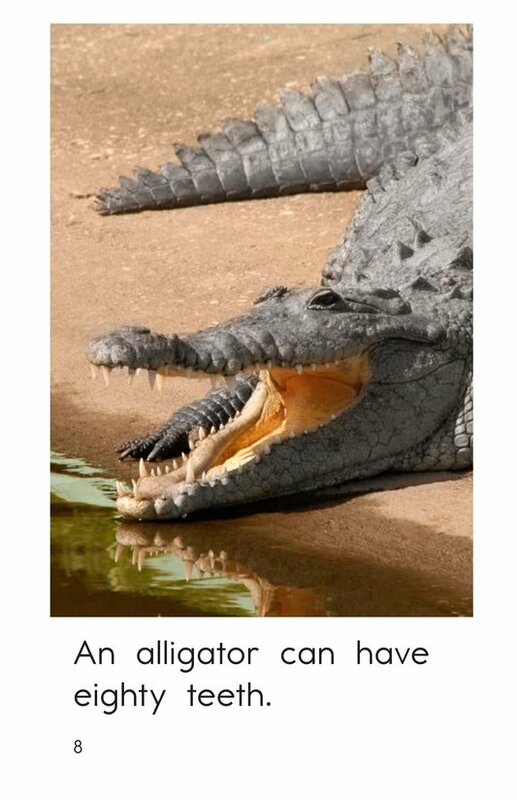 is an informative and entertaining book about how different animals have different numbers of teeth. 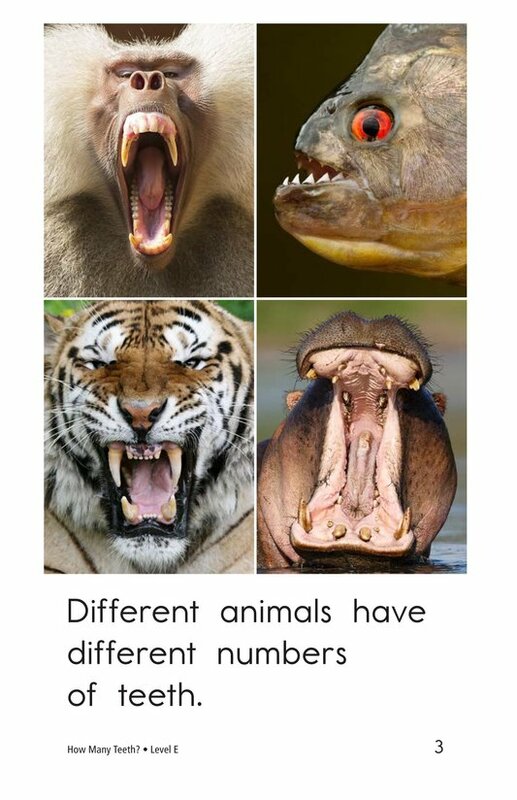 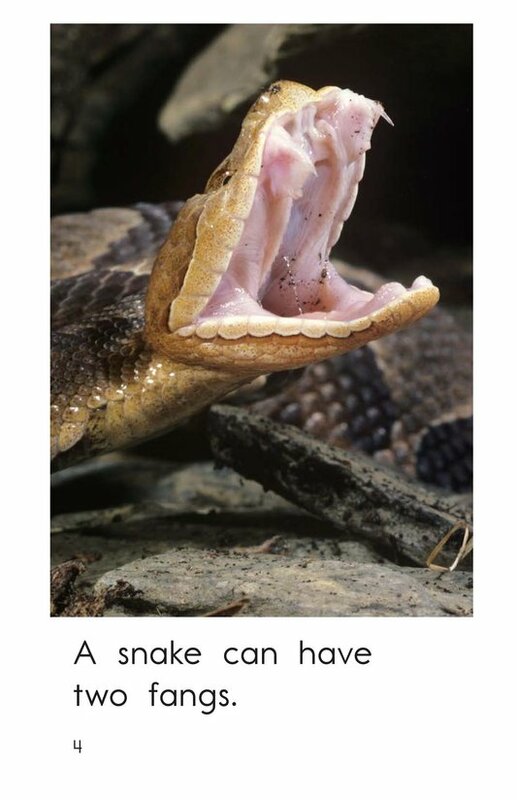 Detailed photographs of unusual animals will keep readers engaged. 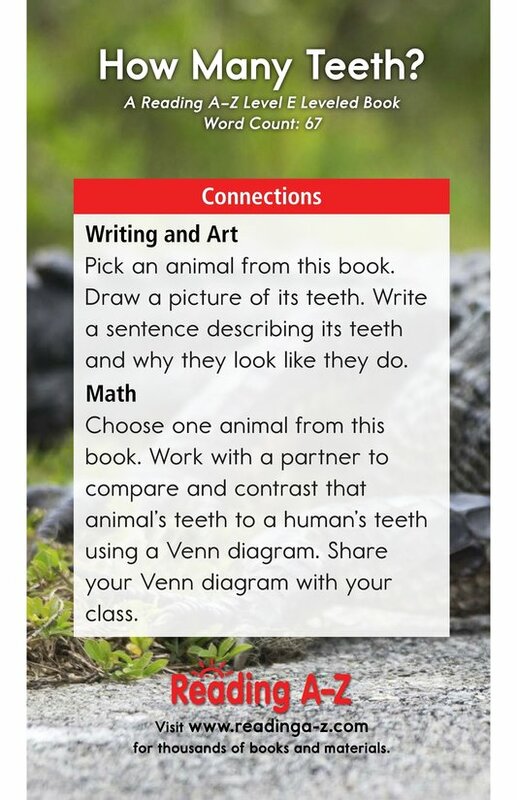 The book can also be used to teach students to ask and answer questions and to classify information.